This is the story of a dragon named Alexander Augustus, who — instead of burning up the countryside — is quite content to sit around the Sussex downs writing poetry and daydreaming. To avoid Saint George the Dragonkiller, the reluctant dragon hibernates in his cave, waking up in present-day 1952. 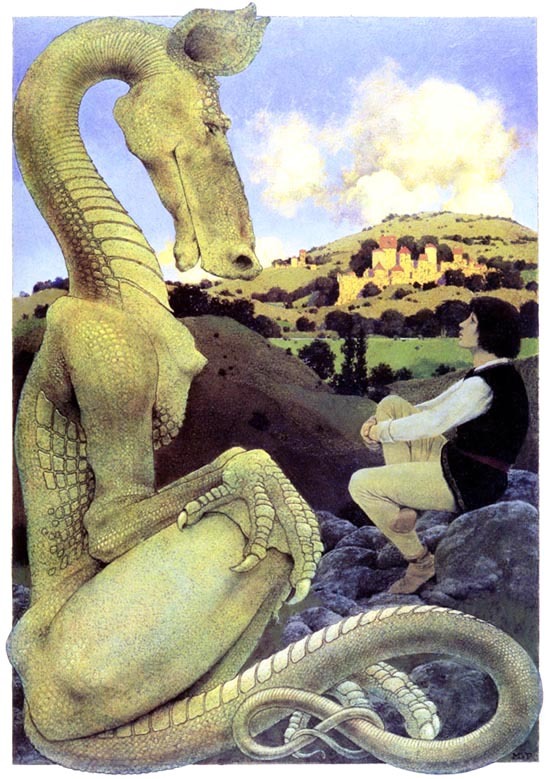 This fantasy was dramatized by Emma Gelders Sterne from Kenneth Grahame’s popular story “The Reluctant Dragon,” first published in 1898 and collected with others in Dream Days, illustrated by Maxfield Parrish. It gained popularity again in 1941, with Walt Disney’s feature film version. The cast featured students from senior classes as well as a large ensemble from junior classes of the Junior Theater Wing of the San Diego Community Theater.